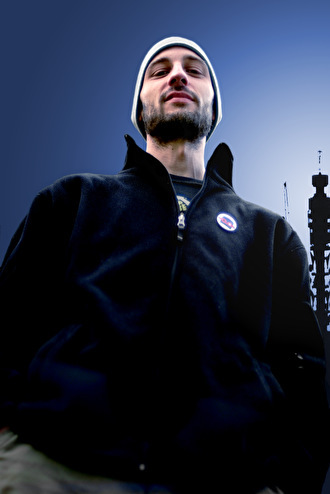 Luke Vibert was born and brought up in Cornwall. His dad was a crazy Jimi Hendrix fan and then got into punk. His mum preferred Yves Montand and the Beatles. He went to school. His favourite subject is unknown. Young master Vibert started playing in various bands and basically making a bad noise - he puts the oddness of the 'Cornwall Skool' (contemporaries Aphex Twin and Tom Middleton / Global Communications) down to the fact that they were so far from any metropolitan style police that no one really cared what they made or how it sounded or what you called it. Spurred on by the success of Aphex, Luke began to think about putting out some of his music. A new label called Rising High contacted Luke - they were looking for new ambient acts so Luke said he was making ambient music (he wasn't). Wagon Christ was born. Having convinced the label and many of the people buying his records that he was a new ambient guru, Wagon Christ continued to make sizzling, funky chunks of exotic business culminating in the masterful Throbbing Pouch. But by this time, he had also discovered the joys of name-changing. Rephlex released his Vibert-Simmonds project (weird and slightly droney collaborations with a man named Simmonds). 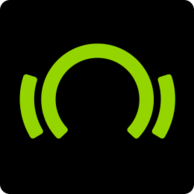 Blue Planet released his drum 'n' bass numbers under the moniker Plug. Mo' Wax signed him up for an album under the most radical title yet: Luke Vibert. Wagon Christ saw some major label action courtesy of Virgin, while Luke Vibert began a collaboration with renowned pedal-steel guitar player BJ Cole. And in between he pumped out a host of remixes for, amongst others, Nine Inch Nails, Squarepusher, Tortoise, Lamb, Stereolab and Mike Flowers Pops (oops). Now, Wagon Christ has come to Ninja Tune (incidentally, the place where he has already released some of his finest remixes and tunes). Other projects include producing an album for a US rapper and continuing live malarkeys with BJ Cole. As for "Musipal" it is a mammal whose females have a pouch containing the teats where the young are fed and carried. Actually, that's a Marsupial. But then, facts is facts. Rot in het vak Luke Vibert is weer eens met zijn TB-303 aan de haal gegaan. Op ''Ridmik'' laat de Brit weer een portie flink geflipte acid langskomen. Ja ik ook...­jointje r bij! kan niet wachten tot zijn act op STRP!!! Veelzijder dan een icosaëder; triphop, hiphop, electronica, disco, dubstep en natuurlijk acid!! Gotta love this man!